Auditioning More Fabric, originally uploaded by MariQuilts. Only three more blocks to go. 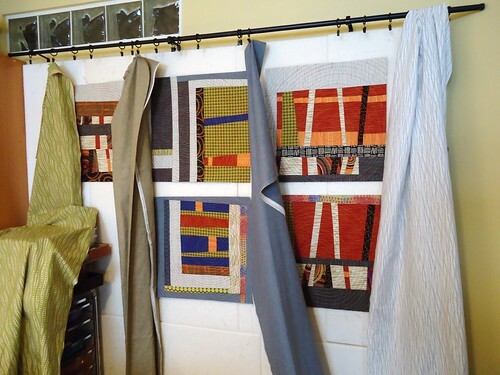 I want to make sure the remaining blocks are not to busy, as I want the quilt to have some visual breathing room. Here are a few more neutral fabrics, I couldn't decide on one so decided to use them all. I still have a few decisions ahead of me in this quilt...I like not knowing....It keeps me engaged.